1. Tariff Barriers - The US Anti-Dumping (AD) Duty Investigation proceeding, which commenced in 2001, and has been followed by several annual AD review proceedings. 2. Non-Tariff Barriers - First outlawing the use of the term “catfish” for any imported Vietnamese fish. Second, engendering the United States Department of Agriculture (USDA) Food Safety and Inspection Service (FSIS) Inspection regime, involving strict USDA oversight and certification regimes. These regulations dictate the slaughtering and processing of fish, ostensibly to check the use of chemicals and antibiotics. In essence, the USDA-FSIS regulation is a non-tariff trade barrier disguised as a food safety measure, conceived and designed to benefit a handful of domestic catfish growers in southern US states. This regulation went into effect on March 1, 2016, followed by an 18-month transitional period so that it will be fully enforced starting September 1, 2017. 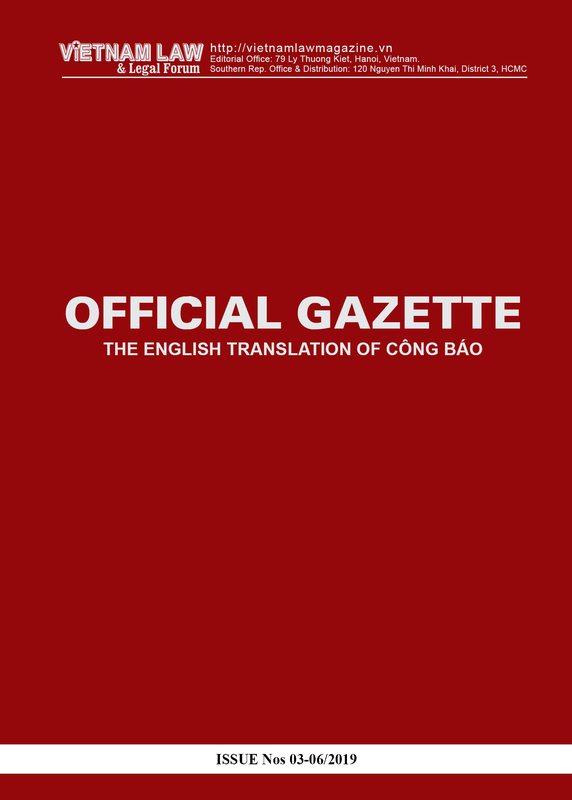 This article focuses on a particular element of tariff barrier, specifically on a very important methodological aspect in the ongoing AD review proceedings covering Vietnamese fish fillets exports. The AD margin is based on the price difference between the export price of actual goods sold and the fair or normal value of identical or comparable merchandise. In the case of US AD proceedings on frozen fish fillets, the US Department of Commerce (Commerce or DOC) measures the margin of dumping by comparing the Vietnamese exporter’s US sales price of frozen fish fillets with the fair market value (or, normal value) of identical or comparable types of frozen fish fillets. Unlike the determination of US sale price, which is generally simpler, the normal value determination in Vietnamese AD cases is complicated due to the fact that Commerce considers Vietnam to be a non-market economy (NME) country. In NME AD proceedings, Commerce determines the normal value of Vietnamese fish fillets based on a factor of production (FOP) methodology, aggregating the cost of all of the material and non-material inputs utilized in the production of exported goods, by applying a hybrid methodology - multiplying the real consumption factors of various inputs used by Vietnamese exporters by the hypothetical price data of such inputs from a surrogate country that is at a level of economic development comparable to that of the non-market economy country. A. Factors of Production (FOP) data - Quantity of all material (i.e., whole fish, chemicals) and non-material inputs (labor, energy, overheads, sales and administrative expenses, profit) utilized in the production of a unit quantity of exported goods. B. Surrogate Value data - Price data of all material and non-material inputs from a surrogate country. 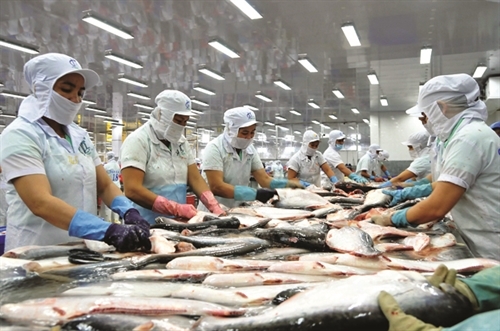 Over the last seven years, beginning from the fifth administrative review of the AD Order, a fierce dispute has raged about the choice of surrogate country as well as surrogate values in the Vietnamese fish fillets proceedings. After losing in several AD review proceedings, the domestic US Catfish industry, led by the Catfish Farmers of America (CFA), suddenly embarked on a new course. Overnight, they sought to change the rules of the game in fundamental ways. Beginning from the Original AD Investigation (2001) through the final results of the fourth AD review proceeding (March 2009), Bangladesh had all along been the unanimous choice for surrogate country because Bangladesh afforded the best quality surrogate value data for valuing all of the material and non-material inputs. However, beginning in late 2009 (5th review), the CFA sought to undermine this choice by bringing in alternative surrogate countries - the Philippines and Indonesia - even though both the countries failed to provide reliable surrogate value data or were simply not economically comparable to Vietnam. The CFA’s sole motive in veering away from Bangladesh towards the alternative surrogate countries was to achieve an abnormally high level of normal value, so as to result in an unrealistically high AD duty. But, CFA did not succeed initially. After failing to convince the agency in the fifth, sixth and seventh AD review proceedings, CFA brought to bear huge political pressures on Commerce and also sought to muddle the Bangladeshi surrogate value record through questionable affidavits from its Dhaka-based paid consultants. Ultimately, CFA succeeded in getting Commerce to switch over from Bangladesh to Indonesia in the final results of the eighth review proceeding (March 2013), even though Indonesia failed to satisfy the threshold statutory criteria of economic comparability to Vietnam. This switchover of surrogate countries caused AD duties to spike to prohibitively high levels. Commerce has perpetuated its choice by continuing to select Indonesia over Bangladesh in the final results of the ninth, tenth and eleventh AD review proceedings as well as the recently announced preliminary results in the twelfth review proceeding. As such, on account of very high levels of AD duties over the last four years, a large section of Vietnamese exporters have withdrawn from the US market. Even so, some Vietnamese exporters still succeeded in obtaining a reasonable level of AD duty margin and, accordingly, continued their shipments to the US market. CFA wants to dispose of these remaining exporters as well. To that end, apart from persuading the US government to impose a new non-tariff barrier - the new USDA-FSIS regulations - CFA has also sought to ratchet up the tariff barriers through the antidumping case. To this end, CFA successfully persuaded Commerce to require Vietnamese exporters to report their factors of production under a new methodology. 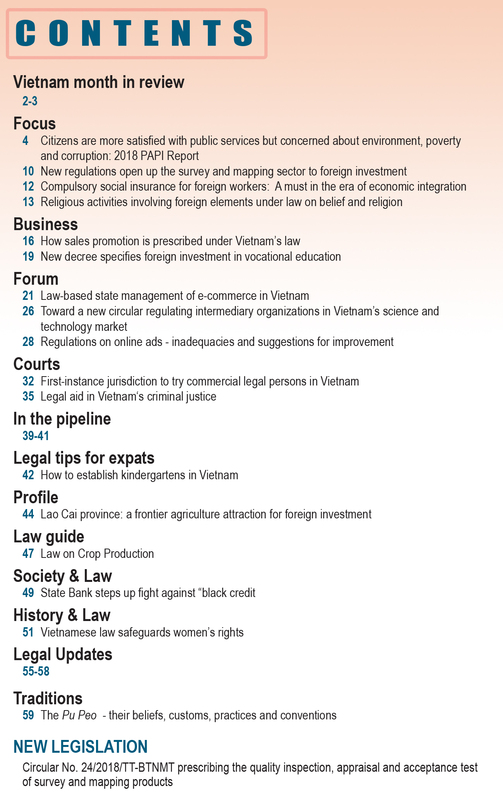 As set forth below, this new “CONNUM-specific FOP reporting” has emerged as the next scourge for Vietnamese exporters. As noted above, the AD duty is based upon the difference between the US sale price and the normal value of such goods. Normal value is the fair value of such goods that are comparable to the goods exported and sold in the US market. As such, the first step in the price comparison methodology is to identify the scope of comparable goods, for which Commerce utilizes a CONNUM (acronym for Control Number), which is a set of variables corresponding to the key physical characteristics of the subject merchandise that are commercially meaningful in the US marketplace, and affect costs of production. In simple terms, the CONNUM may be understood as the product “model”, where each model may include several distinct but similar product types, characterized by certain common physical attributes. 4. Product Size - less than 2 ounces, 2-3 ounces and so on. 7. Net Weight - percentage of weight as sold accounted for by ice, water, glazing, etc. On the other hand, the main material FOPs utilized in producing identical or comparable frozen fish fillets are whole fish and certain chemicals (for non-integrated producers) and fingerlings, feed and certain chemicals used at the fish farm (for integrated producers). The list of non-material FOPs - labor, energy, overheads, SGA and profit - are common to integrated and non-integrated producers. In order to appreciate the difference between the FOP reporting methodology historically followed by the Vietnamese exporters (and consistently accepted by Commerce) and the new regimen of a “CONNUM specific FOP reporting”, let us consider a case where a Vietnamese exporter has sold a consignment of pangasius frozen fish fillets with the following physical characteristics - [Pangasius Hypophthalmus - Shank Fillet - Marinated - 2.5 ounces - Block Frozen - No Preservative - 25% glazing] - at 2.5 USD/kg. For sake of simplicity, let’s assume that the concerned producer/exporter is non-integrated, i.e., his FOPs are whole fish and certain chemicals, labor, energy, overheads, SGA and profit. Under ordinary circumstances, a Vietnamese producer/exporter produces and sells goods not only to the US market but also in the Vietnamese domestic market as well as to third countries. Further, such a producer/exporter may typically be producing and selling several different grades of fish fillets - varying in terms of physical characteristics, such as species, product form, product coating etc., depending on the customer requirements in Vietnamese and third country markets. As a practical matter, on account of lacking the sophistication of multinational companies who are aided by sophisticated SAP/ERP software packages and absent an army of well-trained accountants, who are dedicated to controlling and accounting for the material and non-material inputs utilized solely in producing the CONNUM (model) comparable to the goods exported to the US market, none of the Vietnamese fish fillets exporters have been found to maintain separate accounts for each FOPs utilized exclusively in producing the CONNUMs covering the subject merchandise exported to the US market. That is to say, the consumption of various FOPs are commingled, instead of being segregated by CONNUM or models of finished products. As a result, the consumption or FOP of any input, say, whole fish, has historically been reported by dividing the total weight of whole fish consumed during the review period by the total weight of all CONNUMs of fish produced by the exporter. The resulting FOP produced a reliable yield rate leading to an accurate AD margin, otherwise Commerce would not have blessed it over a period of 15 years, beginning from the Original Investigation (2001) through the final results of the 10th review period (March 2015). In the 11th review period, under sustained pressure from the CFA, Commerce inexplicably reversed its longstanding position, requiring Vietnamese exporters to report the FOPs based on the particular CONNUM (model) of fish fillets exported to the US market. In doing so, the Department conveniently overlooked the fact that on account of a consistent aggregated reporting of FOPs by exporters (and acceptance by Commerce) over the last 15 years, the Vietnamese exporters were not put on notice about this sudden about-face by the agency in the 11th review. Absent such advance notice by Commerce, the exporters had not separately tracked the consumption of FOPs utilized solely in producing the goods exported to the US market. Therefore, the exporters were simply unprepared to comply with the new agency requirement. Likewise, we believe that application of the new policy in the 12th review is unlawful because by the time the new policy was approved by Commerce in the preliminary results of the 11th review (September 2015), the reporting period of 12th review (August 2014 - July 2015) was already over, precluding the producers/exporters to track and maintain CONNUM wise FOP accounts. Based on favorable judicial and agency precedent, we hope to successfully challenge Commerce’s new FOP reporting policy that was applied in the eleventh and twelfth review before the US Court of International Trade. However, there is no gainsaying that the new policy is going to be applied in all future AD review proceedings. 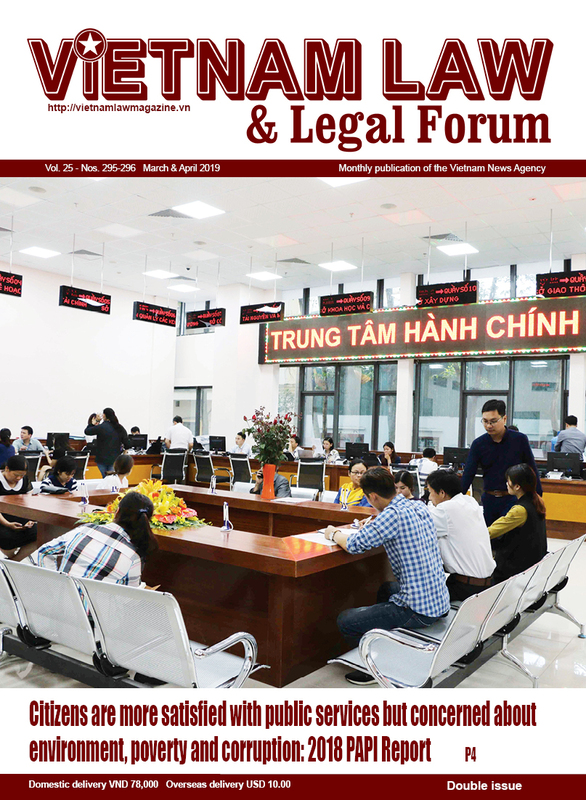 As such, beginning from the 13th review proceeding (covering exports during Aug. 2015-July 2016) that was kick started recently, the Vietnamese exporters will not be able to plead a lack of advance notice and shall, accordingly, be under a legal obligation to comply with the new “CONNUM specific FOP reporting” requirement. 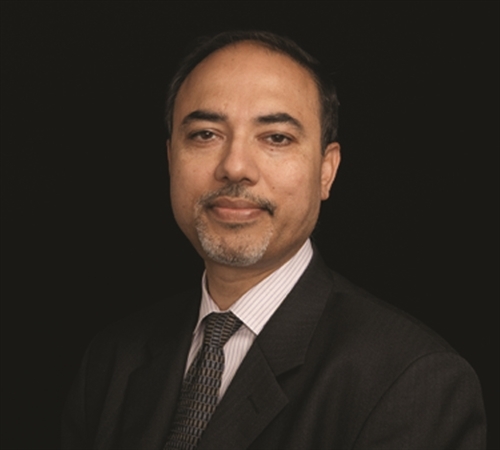 Dharmendra N. Choudhary is a Washington D.C. based International Trade Attorney with GDLSK LLP, the largest US law firm focused on Customs and International Trade issues. He has been a longstanding counsel to VASEP.